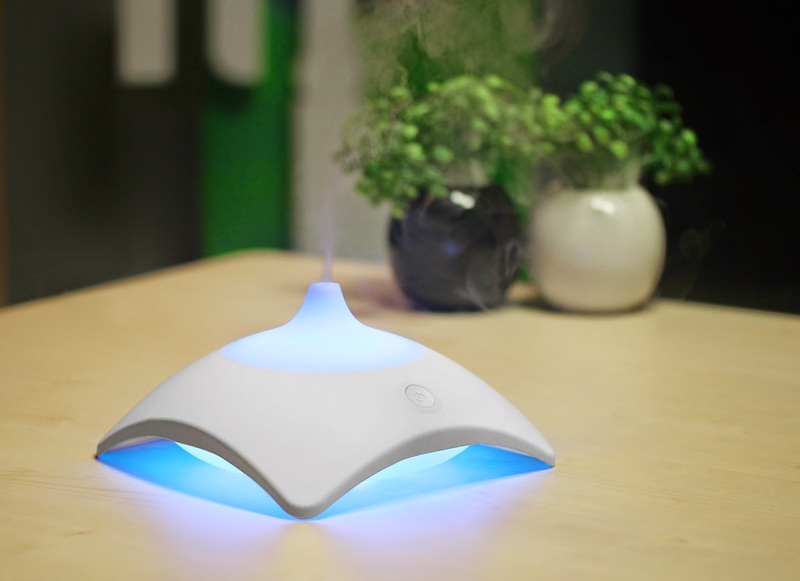 Aromatherapy is a perfect way to relax and feel at peace and the new Zaq Mirage Diffuser allows you to experience aromatherapy at a whole new level. The Zaq Mirage Diffuser is an advanced LiteMist aromatherapy unit that takes your favorite essential oil or fragrant oil and water and breaks it into micro-particles that soothe and relax the spirit. There isn't any heating or burning so you don't have to worry about the oils losing their power by being broken down. It works for four to five hours and has an automatic shutoff so you don't have to worry about having to shut it down yourself or worry about leaving it on. The great thing about this new diffuser from Zaq is that it holds 150ml, which is almost twice the amount of the other units. It also has a color changing LED light where you can pick your favorite color, allow it to change by itself, or have no light at all if you want to use it while sleeping. The benefits of an oil diffuser surpass relaxation. It also works to moisturize your skin and has ionizing properties which help with your overall mood. Since you get to choose your favorite fragrant oil or essential oil, it is personalized to your liking. When choosing the Zaq Mirage Diffuser from Bombay Electronics, you get a wealth of benefits. There is no sales tax, tech support is free, and everything ships within 24 hours. We also guarantee the lowest price and you get 100% secure shopping. If you have any question at all just contact us and we'll be glad to help.